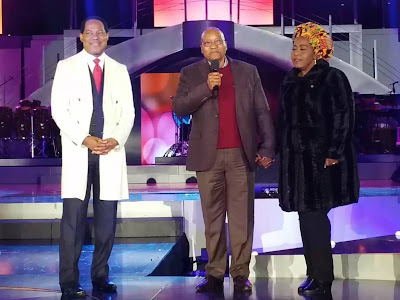 Oyakhilome, yesterday, hosted the grand finale of his LoveWorld Festival of Music and Arts in South Africa. 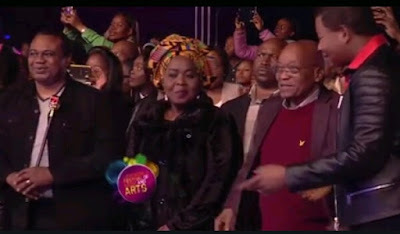 And in attendance was the country’s number 1 citizen – President Jacob Zuma and his wife, Dr. Bongi Ngema-Zuma. 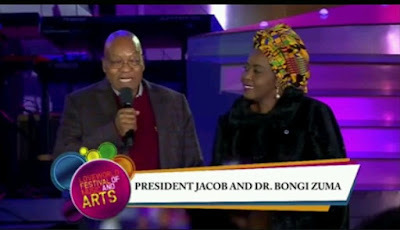 They were welcomed by the pastor who introduced them to thousands present from all over the nation and around the world at the Nasrec Expo Center. “I’ve always come to be revived, to get the blessings, to be strengthened in very important, difficult tasks”.